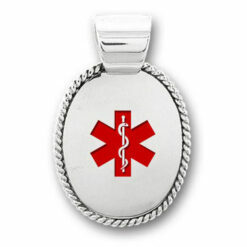 This Medical ID pendant can be engraved with up to 4 lines of text (25 characters per line) on the reverse. 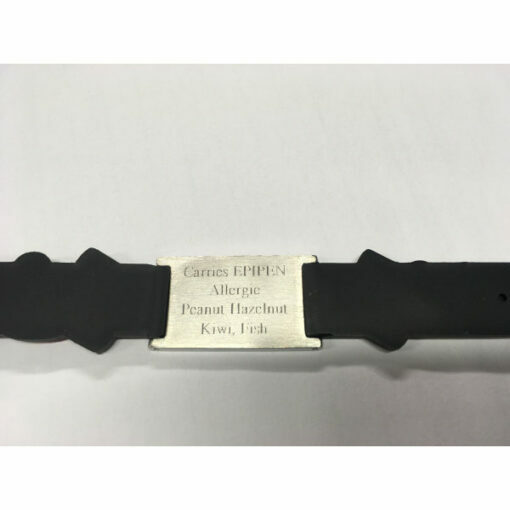 Stylish and practical, easily engraved with ICE information. Emergency personnel such as ambulance paramedics are trained to look for medical ID Jewellery. 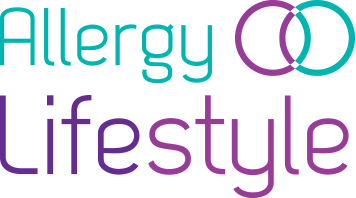 If you or a loved one suffers from Anaphylaxis, Diabetes, Asthma or other condition that a medical emergency team needs to be aware of for treatment choice you should consider Medical ID Jewellery as part of your management plan. Medical pendant provided with leather necklace in free presentation box. 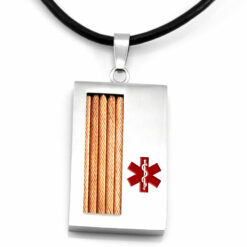 The Medical ID pendant leather necklace fits between 20″ and 22.5″. 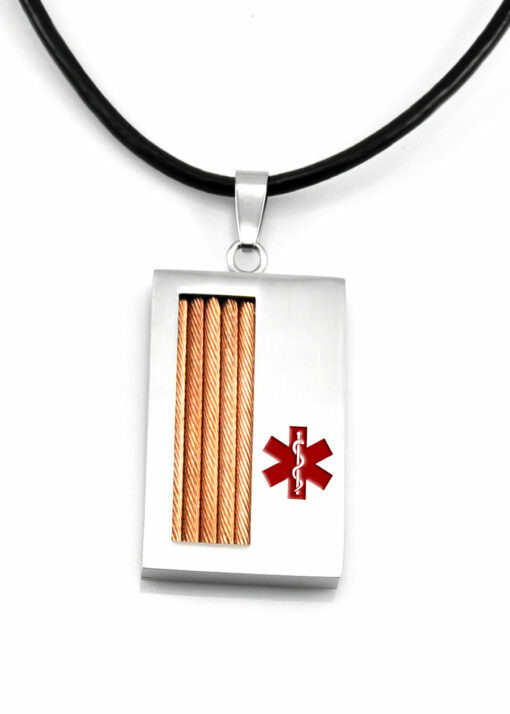 The Medical ID pendant can be engraved with up to 4 lines of text (25 characters per line) on the reverse. We can engrave the tag with your details or you can purchase without engraving and have your local jeweller / engraver complete the details for you.